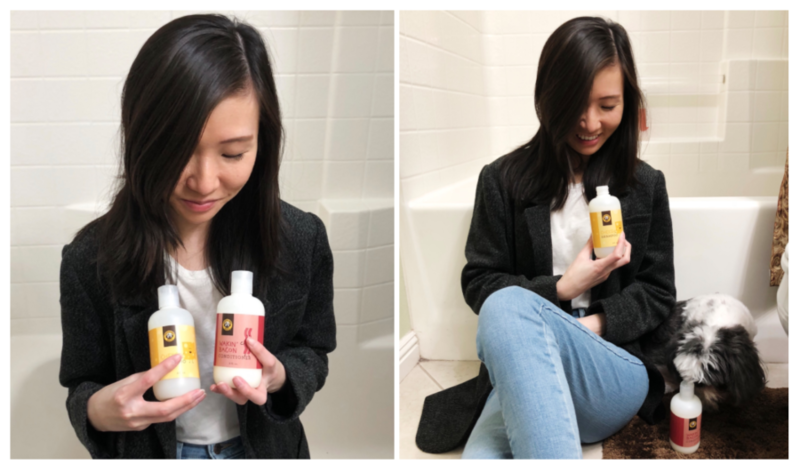 When our deputy editor told me she first thought of me to test out bagel-chain Einstein Bros.’ new cheese shampoo and bacon conditioner duo, I was sincerely flattered. Because ultimately, in the grand scheme of things, this is who I want to be: the person who crosses through another’s peripheral when it came to bizarre, food-themed hair products. 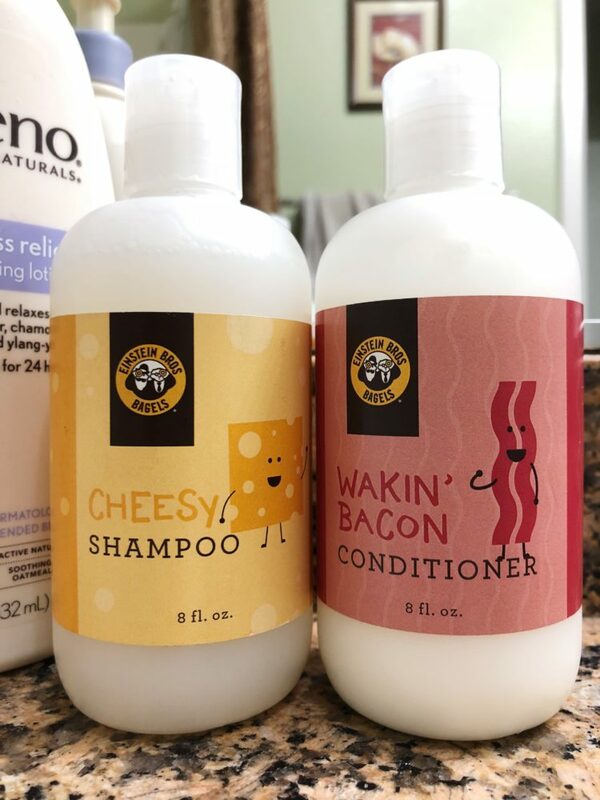 Marketed at $9.99 (and currently sold out because it’s genius), the Cheesy Shampoo and Wakin’ Bacon Conditioner were released to promote Einstein Bros.’ limited-time Cheesy Wakin’ Bacon sandwich. The press release includes the slogan “look incredible and smell edible,” and something tells me these would’ve been the imminent downfall of Ron Swanson had Tammy 1 or Tammy 2 gotten a hold of them. So after a recent workday, I tested out the Cheesy Shampoo and Wakin’ Bacon Conditioner. Here’s a close-up of the iconic duo. The Cheesy Shampoo smells exactly as its name suggests: cheesy. More specifically, it has a movie theater popcorn type of aroma; the Wakin’ Bacon Conditioner, however, had a less overpowering smell — one that was slightly smoky. As I was getting ready for my shower, I actually found myself getting a bit nervous. What if my hair fell off? What if I got bald patches? Will I be able to expense the trips to a hair specialist whose forte was novelty food-themed products? For comparison, here’s how my hair usually looks. I’m sniffing the products and recalling episodes of Diners, Drive-Ins and Dives because for some reason, the smell of these remind me of Guy Fieri despite having no comparison basis. I don’t know what Guy Fieri smells like, OK? But I feel like these come close. Notice my dog, who is mesmerized by the smell. Despite the unsettling smell of the cheese, my hair did not fall off. 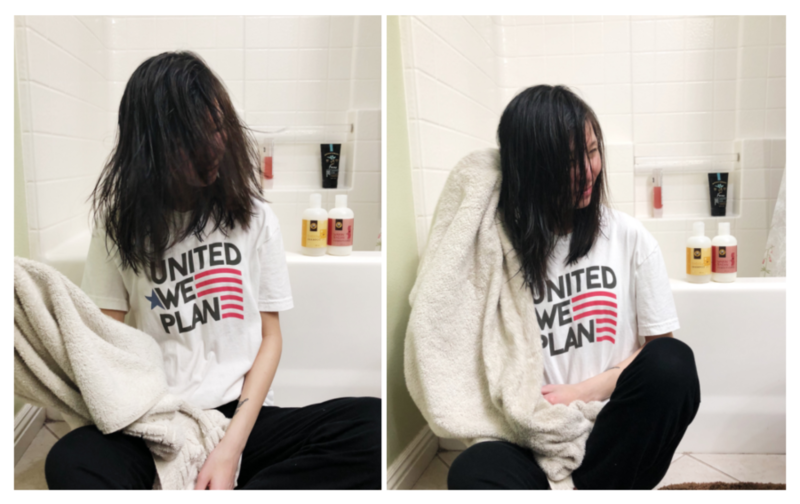 It felt like I was using my usual Pantene products. And, once you step out of the shower and dry off, the smell of cheese and smoky bacon completely fade away (which was a bit disappointing, because I wanted to smell like a breakfast sandwich). Here’s how my hair looked after using the products. No bald spots, I’m pleased to report. I was also surprised by how smooth my hair felt. But why was I so surprised? Despite its bizarre appearance, these products are actually no joke. For one, it was distributed by Good Fortune Soap, a company that specializes in natural, organic products. Secondly, the products contained ingredients like lavender essential oil (a pleasant surprise, as I’ll literally buy anything marketed with “lavender”), organic aloe juice, and jojoba oil. As an aloe enthusiast, I was pleased to discovered that it also makes your hair super smooth and shiny, promotes hair growth, and reduces dandruff. Same goes for jojoba oil; these products make for a happy scalp. The bacon conditioner also contains marshmallow root, which moisturizes and detangles hair (which I totally need). If you’re dying to experience cheese and bacon hair care yourself, you might still be able to. 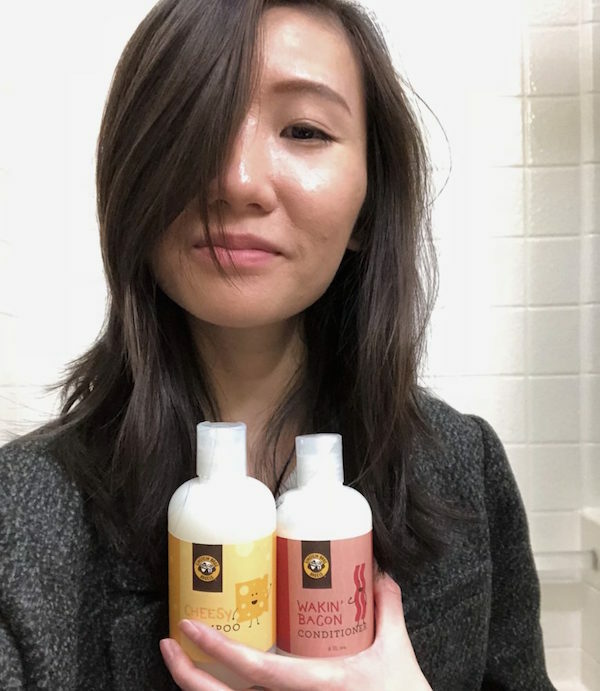 When asked whether they plan on bringing the shampoo and conditioner back after selling out, Einstein Bros. said this to HelloGiggles: “We are exploring the production of more product to meet consumer demand and invite fans who missed out on the first run to join the waitlist for product when it becomes available.” Crossing fingers for all of you. Notice in the above photo that I’m trapping my dog in the bathroom with me, desperately trying to get him to smell my hair. He wouldn’t! He had no interest. He wanted to leave. Look at that face. Because there was nothing to sniff: like I said, the smell completely fades away and it’s as if you’re using any other shampoo and conditioner. Would I use the Cheesy Shampoo and Wakin’ Bacon Conditioner again? I mean, sure, if I had no other options. Why not? I’d just have to briefly endure the smell of unsettling cheese, as well as recollections of Guy Fieri and his retro bowling shirts.